Sabrina Barreiro thought her Commonwealth Bank account would keep her money safe, until her debit card was skimmed. Sabrina Barreiro always thought keeping her money in a bank account was a safer option than under the mattress. But after her debit card was skimmed and her bank account cleared of all funds, she began having second thoughts. Fresh from a four-day holiday on the Gold Coast, a five-months pregnant Ms Barreiro logged online to her Commonwealth Bank account to find the $1350 she had put aside for medical bills had been withdrawn. “First I checked my wallet to see if I had my card with me, and I did. So I panicked and called the bank,” said Ms Barreiro. Upon calling the bank, Ms Barreiro, from Bondi, found the consumer process of reclaiming her money would not be as simple as she assumed. The experience left her distressed that she would be unable to pay medical expenses in the final months of her pregnancy. “They told me they would open an investigation, which was going to take 45 days and I would have to wait until they finished the investigation to get any money back. While unable to work due to health reasons, Ms Barreiro relied on her partner’s income for rent and medical payments. Counterfeit or skimming transactions are those made with an altered or illegally reproduced card, based on details taken from an existing card. This includes when the information is copied directly from a card’s magnetic stripe. Detective Acting Superintendent Dave Christey, from the NSW Police Force Fraud and Cybercrime Squad, said the frequency of card skimming had dropped since chip technology replaced the magnetic stripe. According to the most recent statistics from the Australian Payments Clearing Association, released last year, counterfeit and skimming fraud dropped by 25 per cent in the six years from 2009. In 2014, more than $650 billion worth of transactions were made on Australian payments cards, of which 0.06 per cent were fraudulent. Ms Barreiro said that while she was concerned that her security had been compromised she was more upset about the bank’s response. “I felt the bank was blaming me, because I didn’t look after my PIN,” she said. “They kept asking, who did you give the PIN to? Of course I didn’t give it to anyone. A spokesperson from the Commonwealth Bank said it was concerned when any customer was the victim of fraudulent activity. “Our process is to fully reimburse our customers when they have been legitimately defrauded and our aim is to do this as quickly as possible,” she said. After Fairfax Media contacted the Commonwealth Bank, it offered its apologies to Ms Barreiro and fully refunded the disputed charges, including any associated fees. This entry was posted in CREDIT CARDS, DATA IT HACKING CYBER, SCAMS FRAUDS, THEFT STEALING and tagged comonwealth bank refunds, is your money safe with the banks, refunds on credit card money theft, sciming credit cards for money, skimming card theft, under the mattress or in the bank on April 28, 2016 by Henry. iPhone users will still need the Commonwealth PayTag sticker for now. Commbank’s latest mobile banking app opens up tap-and-go payments for Android phones, replaces the need for a pay sticker for phones, and launches a further assault on cash payments. The bank’s latest Tap and Pay app, released on Wednesday, is available for all brands of Android phones with near-field communications (NFC) running 4.4 and above. In the past Android phones other than Samsung Galaxy S4 and S5 required a bank-issued PayTag sticker. But it is now a clunky process. The app requires a PIN to be used for every transaction, not just those above $100. No card: Commonwealth Bank says 60,000 tap-and-pay transactions are taking place in Australia each week using smartphones, worth $1.25 million. The bank has worked with MasterCard to deliver the mobile payment solution which relies on technology known as host card emulation (HCE) to transmits payment information and replace the 16-digit number of a credit or debit card with a 16 digit unique token to secure each transaction. 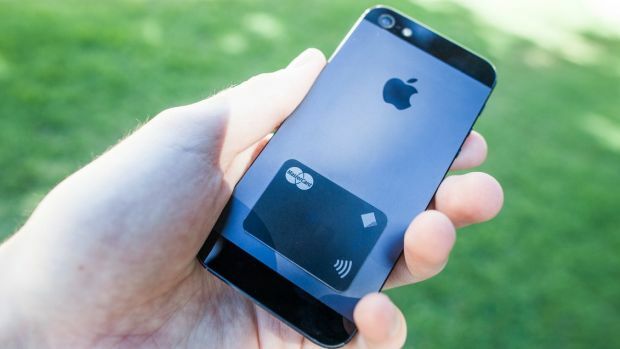 (Tokenisation is also a key feature of the ApplePay service which is yet to launch in Australia). Instead of requiring a secure element actually on the phone – such as the phone’s SIM card or the bank’s previous PayTag sticker – to handle card emulation, this is handled by the cloud service. Google introduced HCE in version 4.4 of its Android operating system, also known as Kitkat, with Visa and MasterCard throwing their weight behind it a year ago. While the Commonwealth Bank is the first local bank to offer the service, Westpac New Zealand has been trialling HCE since mid 2014. Cuscal and CUA launched the redi2PAY service which relies on HCE, in July. 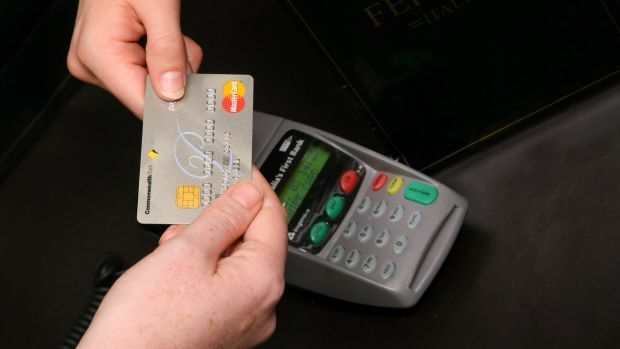 Lisa Frazier, executive general manager for digital channels at the Commonwealth Bank said that to use the contactless payment capability users would launch the app, see details of the payment on their screen and input a PIN, then pass the phone over a payments terminal to complete the transaction. Frazier said the bank would still support iPhone users who make up about half of the 3.2 million users of the bank’s app – but that to make a contactless payment iPhone users would still need an NFC sticker. She would not be drawn about Commbank’s plans for smartwatch apps. Besides extending the reach of its digital wallet solution the announcement lobs another grenade at cash which is feeling the heat from a range of digital payment solutions. ANU economics professor Rabee Tourky earlier this month predicted that cash as we know it would be phased out within a decade, and replaced by electronic alternatives, including a Government backed virtual currency. “Money will not disappear – but cash in a paper form will disappear. You can exchange Bitcoin without a bank or a third party. The advantage is that you can make very small and very large payments with almost zero fees,” said Tourky. The Reserve Bank declined to comment on such a possibility, but in its submission to the Senate inquiry into digital currency, noted that uptake of virtual currency was slow and had thus far no significant implications for the RBA’s ability to manage monetary policy. Governor Glenn Stevens has however previously noted the displacement impact of contactless payments on cash. In a speech to the Australian Payments Clearing Association last October Stevens said however that the uptake of digital wallets had been slower than expected – but acknowledged that could change rapidly as new solutions emerged. That’s what the banks and payment disruptors such as PayPal are hoping. Frazier said demand for mobile banking was exploding. She said Commbank’s user base has grown from 1.76 million a year ago, to 3.2 million today, and that in the last 12 months the app had been used to complete $100 billion worth of transactions. Even before the launch of the HCE enabled app tech she said 60,000 tap-and-pay transactions were taking place each week using smartphones, worth $1.25 million. Update: The first version of the story said an NFC chip was not needed for the new app to work. The mistake was a technical misunderstanding. This entry was posted in CREDIT CARDS on March 14, 2015 by Henry. A THAI couple are behind bars after allegedly using a Gold Coast man’s stolen Visa debit card details to book a luxury Christmas holiday in Broadbeach. The pair were arrested on Christmas night after police raided the beachfront Peppers Broadbeach hotel and netted a stash of fake credit cards and forged documents. Kriangsak Khieopan and female partner Phuntida Boonpum faced the Southport Magistrates Court on Boxing Day accused of forgery, fraud and dealing with stolen IDs. Magistrate Brian Kilmartin refused the couple bail and voiced fears they could flee the country. “The allegations are this was a detailed, calculated effort in fraudulently taking the identity of another,” he said. Police have revealed the arrests came with the help of the outraged Gold Coast owner of the debit card. Prosecutor Sergeant Chris Lynch told the court the man first learned his bank account had been emptied after receiving a courtesy call from his bank on Christmas Day. The man immediately turned detective and tracked the latest credit card transactions to Broadbeach hotel who confirmed his card details had been used to book two apartments for seven people over the Christmas break. He reported his findings to police who mounted a raid at 6.45pm that night. One apartment was empty but inside another they found Mr Khieopan and Mrs Boonpum lounging on the couch waiting for a dinner delivery from an Indian restaurant – also paid for with the stolen card. Police located a collection of credit cards, alleged forged documents, a passport and a Medicare card hidden in a handbag in the hotel bedroom. They also found a miniature liquor bottle suspected of being used to smoke ice. The couple were arrested and Mr Khieopan was charged with an additional offence of giving a fake name to police. Duty solicitor Sam Jackson said his clients were not Australian citizens but had been living in Sydney with Mr Khieopan working as a stonemason and Mrs Boonpum in full-time English studies. He argued the case was not strong and police had yet to prove the couple were principal offenders as there were reportedly five others who had checked out before the raids. Both were refused bail and will return to court on February 6. This entry was posted in CREDIT CARDS, ID THEFT, SCAMS FRAUDS and tagged australian credit card crimes, credit card fraud in australia, id theft in australia on December 28, 2013 by Henry. This entry was posted in CREDIT CARDS, HOW TO & DIY, ID THEFT, SCAMS FRAUDS and tagged credit card fraud, debit & credit card fraud, id theft from the net, id theft scams, printing credit cards, scammers on the net, scammers using credit card info on September 14, 2013 by Henry.